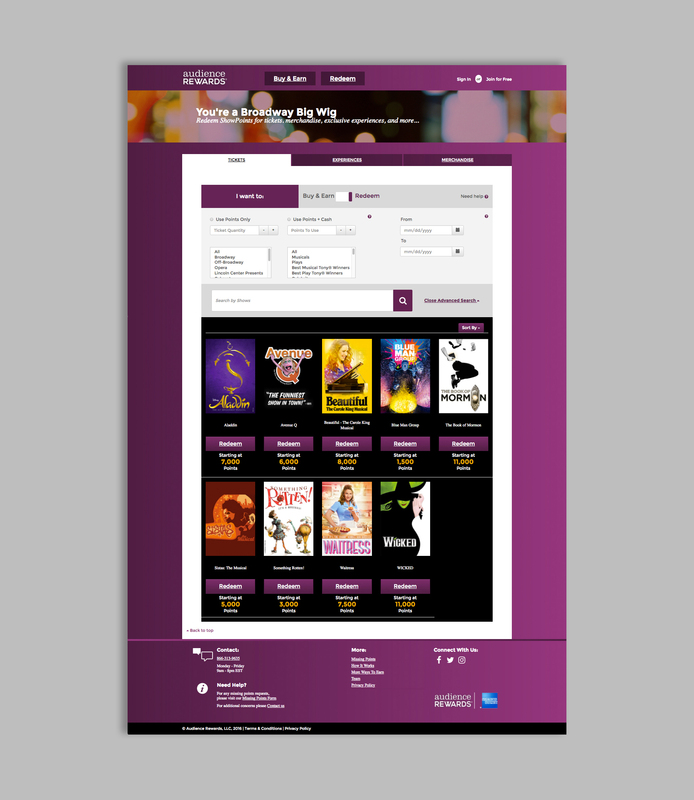 Making it easier for users to find the perfect broadway experience. 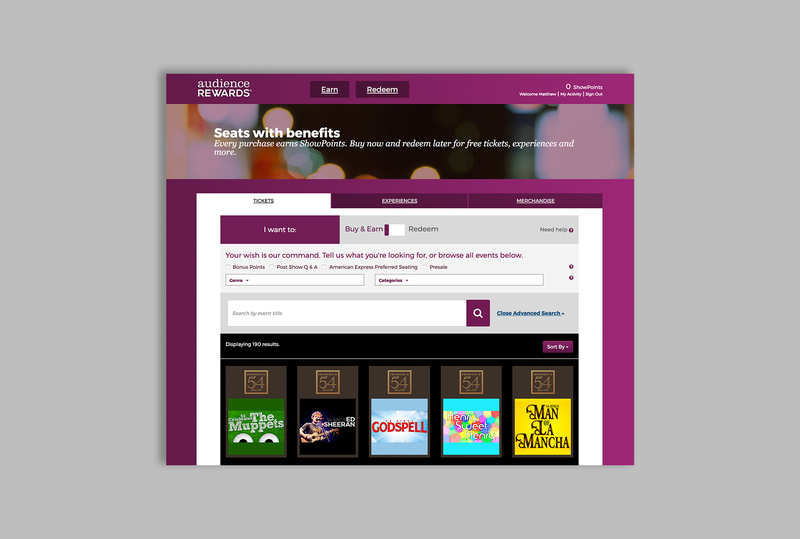 Audience Rewards is a rewards program for Broadway theatergoers. Users who buy broadway tickets online can enter an audience rewards number which enables them to earn points for tickets and experiences. Audience Rewards helps theatergoers enjoy a fuller Broadway experience. 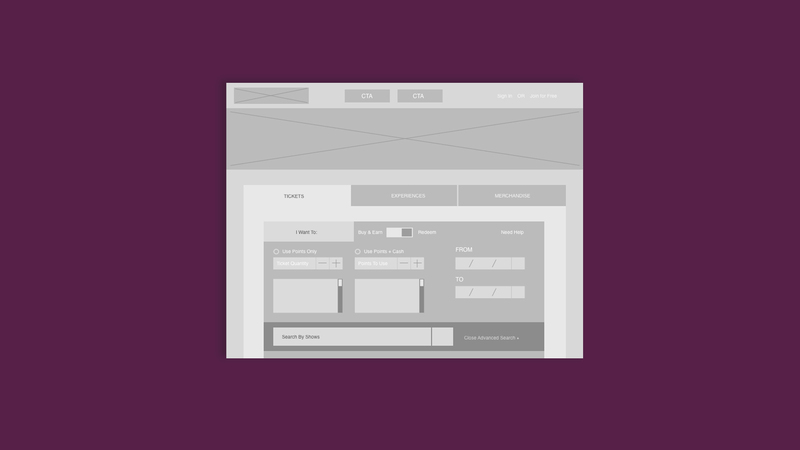 A robust search interface was designed to increase the conversion rate of users looking to redeem their ShowPoints. Work done at Brigade. When designing the search interface, we had to keep in mind the broad user base of this website. User personas that were developed helped hone in on the different ways that one might search. Since our user base spanned a large age rage, we had to consider the technological literacy and habits of each user group. Multiple search options within the interface needed to be designed to cover the various searching habits of each user group. Copy that is on brand was used throughout the website to enhance the customers experience. 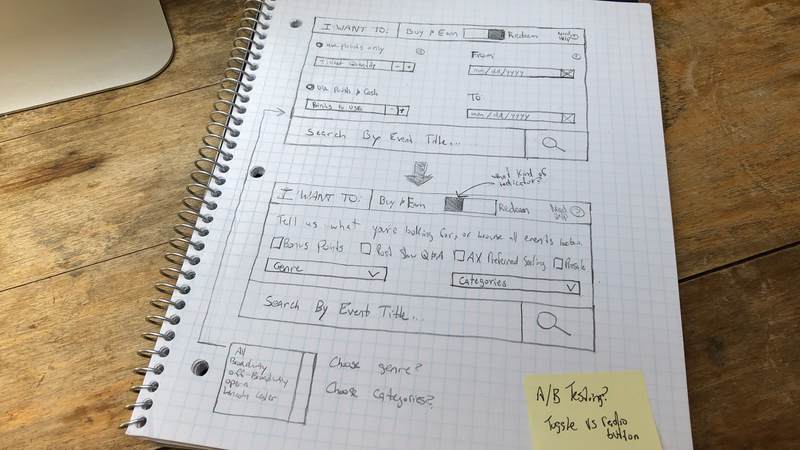 More specifically, UX writing was used to ensure that users could understand and complete tasks.